The Angel Number 3 is related to the Ascended Masters and other religious and spiritual leaders, who long ago, walked upon the earth’s land. When it seems as though the Angel Number 3 is following you, be aware that the Ascended Masters are near and are trying to get your attention. Attempting to fulfill your divine purpose is easier than ever at this point in your life advice the repeating numbers. 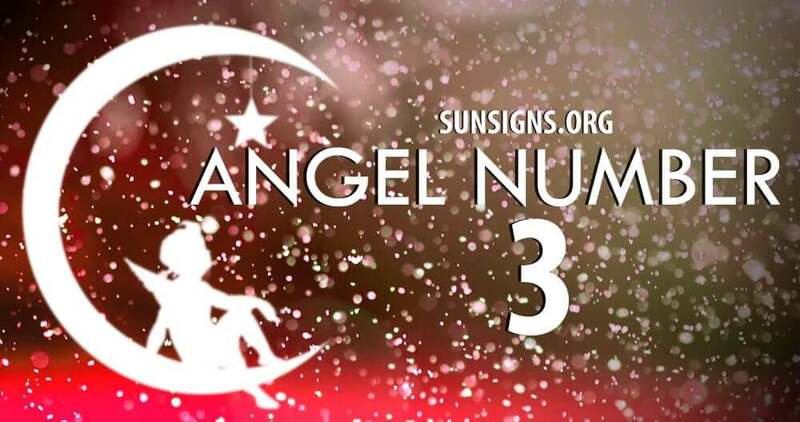 Angel Number 3 symbolism represents or echoes the energies and vibrations that comes from inspiration, creativity, growth, spontaneity, optimism, free-form, psychic ability, self­ expression, humor, and fun­ loving. Number 3 embodies the physical, emotional, cerebral, mental and spiritual planes as it focuses on increases, expansions and abundance. Communication, openness, speech, intelligence, passion, adventure, and enthusiasm encourages the manifestation of dreams and goals. In addition to being associated with increases, Number 3 is the essence of the Trinity – the mind, body and spirit. It signals a synthesis… a process or change, which is present and is active! The divine angels are responding to your prayer requests and they are ready to help you to succeed. Your desires are about to become a realism, providing you listen to and follow your intuition. The results of following your life plan means that you will be able to enhance the lives of others. Angel number 33 symbolism represents the message that “all things are possible!” The Angel Number 33 is associated with a Master Teacher as it is a Master Number. This is the time to try something new or perhaps a lifestyle change is in order. The Number 33 says that help has arrived to make positive modifications in your life. It’s time that purposeful conditions meet with your angels and take charge of your energies in preparation of major life changes. The repeating number sequence 333 symbolizes the message to have faith in humankind as the Ascended Masters are on your side. They are working to protect, guide and love you. The angel numbers will provide for you those things, especially if you are feeling lost or confused. Call upon the Ascended Masters when you need companionship, love and assistance. The Ascended Masters and angels are there to lend you support and companionship as you endeavor to face incredible situations. The Masters and angels know the best way to attain your goals and desires. All you have to do is call upon them for help. You are on to the next phase when you notice the repetition of the Angel Number 3333.